Fashion posts are always a hard one for me because I struggle to take the photos, I have no one to take them :( But the trusty mirror is always a good idea to give you guys an insight into what I have been loving. 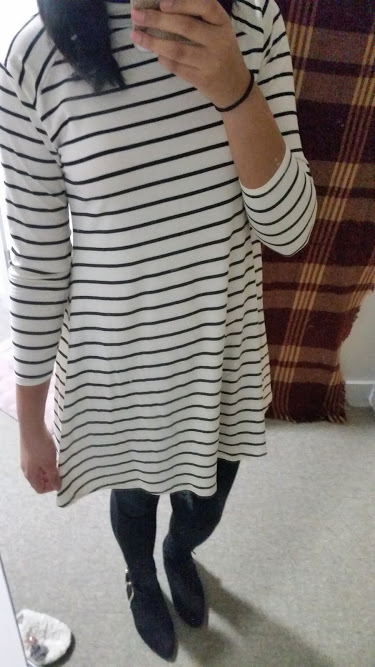 This week I have been obsessed with Stripes! Everything stripes is perfect. I'm currently on work placement thus my outfits lately have to be were formal and professional. I love dressing all smart, I do. However, every Friday I like to change it up a little bit and wear a pretty dress, and that takes me on to telling you all about this gorgeous Hollie dress from Boutique of Molly*. It's one of t their newest items that have just launched and I was able to try it out! 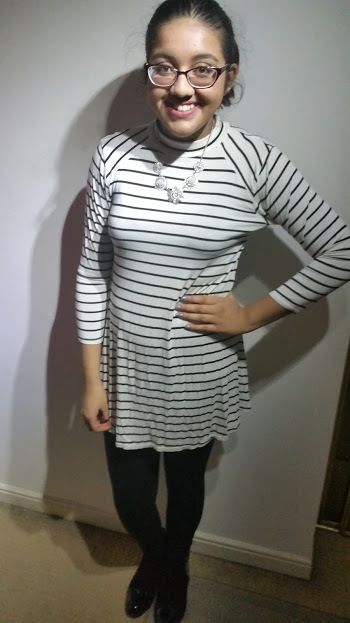 Its the sweetest little striped swing dress that sits just above my knees, perfect to wear with either tights, leggings or in the summer barefoot. I've been pairing it with my ankle boots from Asda for that cosy winter look. My favourite part of the whole look apart from the fact that its striped is the neck. Its a high neck and is very flattering indeed. 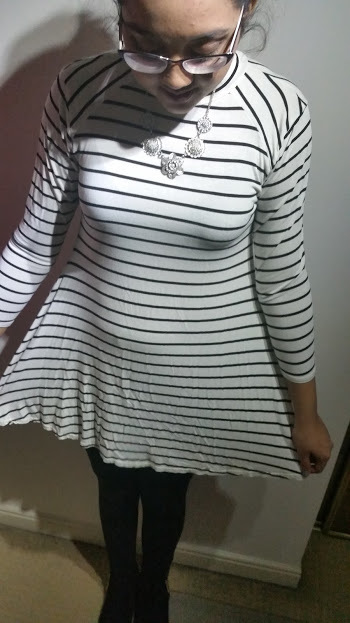 I love wearing high necks in the winter because it keeps me warm but to this dress it just adds something else. As always, everything from Boutique of Molly is stunning and this is another item of clothing you just need in your wardrobe to wear all year round.